After our first webinar this year about Autophase correction, Dr. Heike Hofstetter gave a webinar about the implementation of Mnova in an educational environment on Jan 25. A software package used in an educational environment has to fulfill requirements that are very different from the ones used, for instance, in industry, at the same time still preparing students for their future careers. The University of Wisconsin-Madison (US) is working on implementing Mnova in all aspects of teaching: starting at the undergraduate level and continuing throughout the graduate career. Students learn step-wise to use the program starting with simple 1D processing and adding more complex 1D and 2D workup for structure elucidation at a later stage. 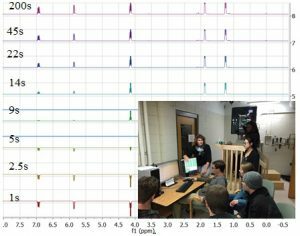 For graduate students, advanced tools are added such as peak deconvolution, peak tables, assignments, but also workup for more advanced experiments like quantitation, kinetics and diffusion are added. The software package does not only serve as a processing software but also as a teaching tool. Dr. Heike Hofstetter studied chemistry at the Eberhard-Karls-University in Tübingen, where she got a diploma in Chemistry and a PhD in organic chemistry working with Prof. Volker Schurig on enantiomer separations using protein chiral stationary phases. Heike carried out her post-doctoral studies with Prof. Meir Wilchek at the Weizmann Institute of Science in Israel exploring extensions of the avidin-biotin system. She joined the Department of Chemistry and Biochemistry at Northern Illinois University in DeKalb, IL, first as Visiting Assistant Professor in the field of Analytical Biochemistry. Then she accepted a position of Analytical Laboratory Manager in the Department of Chemistry and Biochemistry at NIU in 2006. 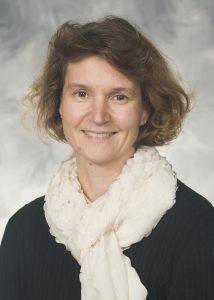 In 2014 Heike joined the Department of Chemistry at University of Wisconsin-Madison as Associate Director of the Magnetic Resonance Facility. While research and research support are important components of her current position, another of her major focus is on instruction. She is currently teaching a graduate class on NMR instrumentation and being actively involved in instructional design.